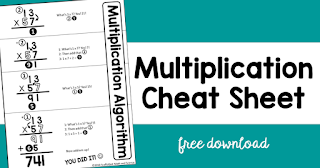 One of my favorite things to do - and this is going to sound funny - is make math cheat sheets. 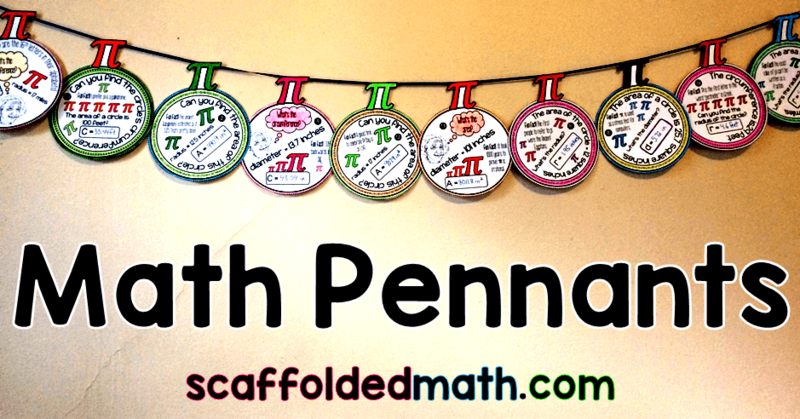 When I'm making them I imagine kids struggling with a certain concept or algorithm and being completely stressed out about it. Then I imagine my cheat sheet maybe helping alleviate some of that pressure. This is what drives the work I do. I know that anxiety pretty well and it's no fun. 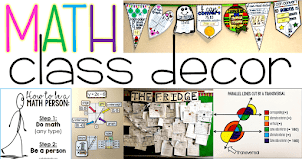 Teachers are everything and no cheat sheet will ever take their place. 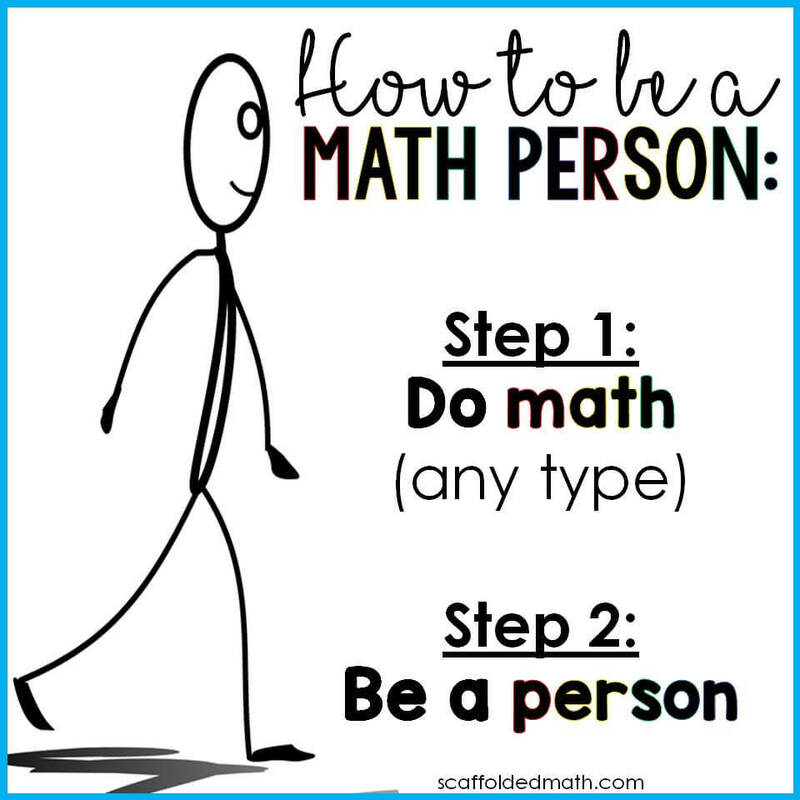 Every math cheat sheet I make is meant to help kids who are struggling with a topic and whose self-confidence is starting to wear down because of that struggle. 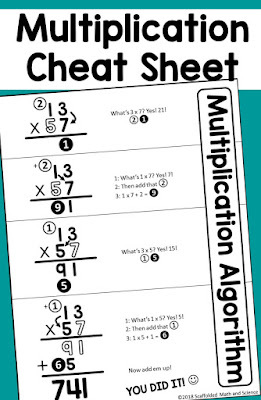 A couple teachers had asked for a multiplication cheat sheet, one saying that my long division cheat sheet helped her son. I had been imagining what that sheet would look like and today finally hashed it out. 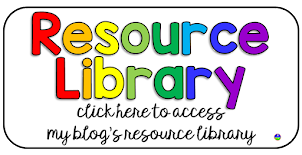 All are free to download. 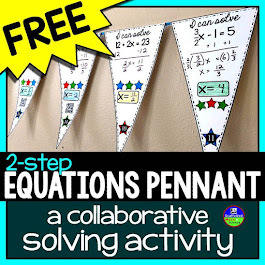 And here is a fun math pennant for multiplication. 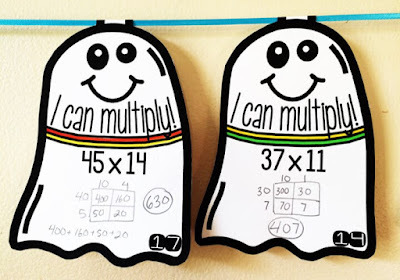 It has a ghost theme for Halloween. 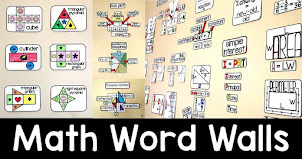 I included multiplication with the area model on my 4th grade math word wall. 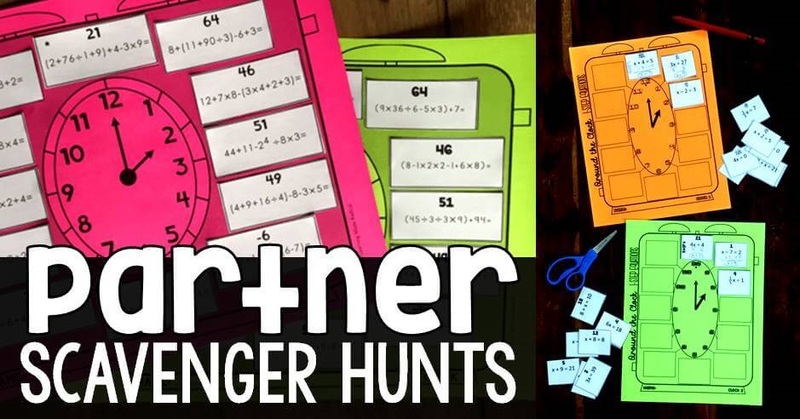 I like this method a lot, especially because it connects to high school math when students multiply polynomials. 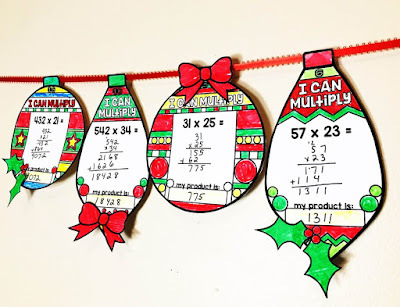 For the winter holidays, I made this set of multiplication ornaments. 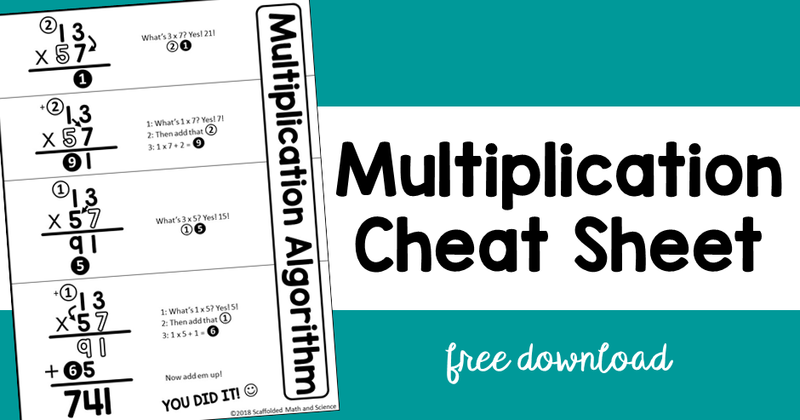 *You can find the multiplication cheat sheet free here. I knew it! Back to the drawing board! All fixed. This is what I get for not triple checking... happens to me with everything. I appreciate your super quick response! All fixed now. I hope you have a wonderful weekend! 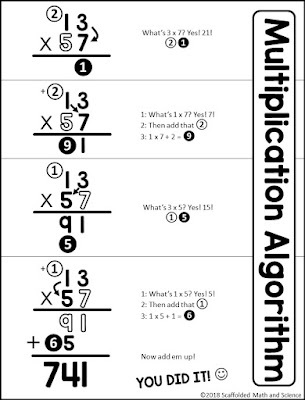 I would correct the step verbage too - maybe add something in there about adding zero placeholders. This would be a great class conversation. 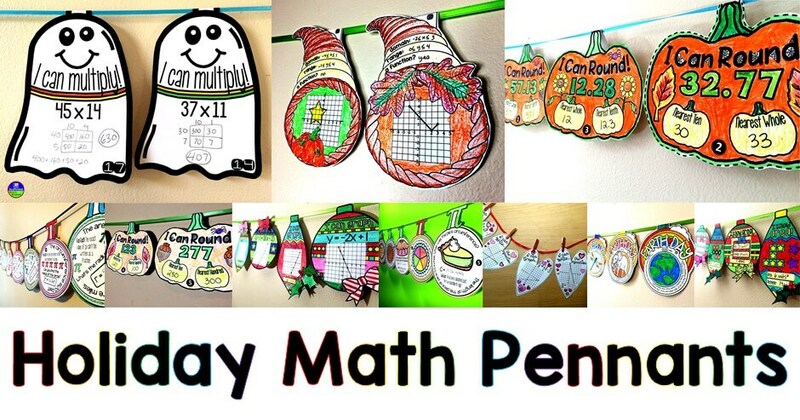 Maybe even have the kids use red crayon to write their own zeros in that blank space.